FIRST OF ALL, let me state my credentials. I was a stageside member of Desperadoes from 1980 to1991, during which time I performed at all 12 Panorama competitions. I also participated in two Musical Festivals – 1986 and 88. So even if I’m not now participating, I’m following because, to me, Panorama is the greatest musical extravaganza on Earth. Where in the world can you find so many bands in a truly indigenous music festival? 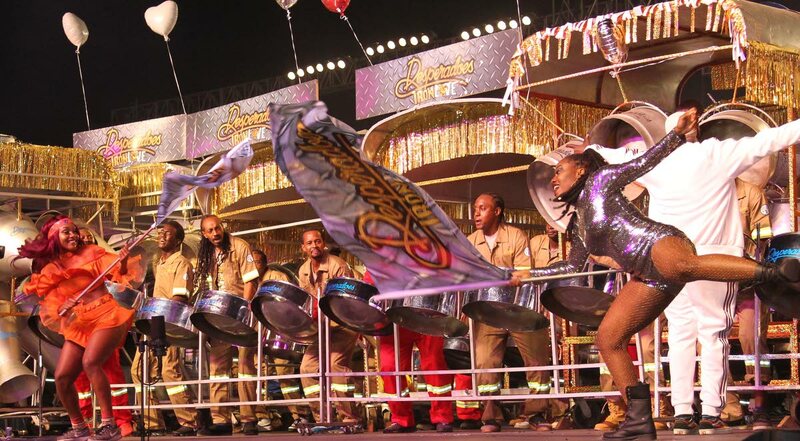 The instruments are made by Trinidadians-Tobagonians, the music composed and arranged by Trinidadians-Tobagonians, and performed for the most part by Trinidadians-Tobagonians. All ingredients/components are Trinidadian-Tobagonian. Isn’t that fascinating? Some may say the pans are made from drums manufactured elsewhere. My response to that is drums are containers not instruments. We make the instruments and, consequently, the Panorama pelau. For these reasons I take offence whenever I hear people, dissatisfied panmen among them, suggest bringing foreigners to judge Panorama. Do you think Americans would call for foreign judges for a jazz competition? Let’s leave Panorama as a total local event. Local judges have done an awesome job since 1963. We overlook them because at times we don’t think they get it all right. But they are human beings and once they were born and raised in TT, they’ll have biases because from birth we all identify with one band or the other. But over the last 56 years they’ve gotten it right 90 per cent of the time, in my estimation. It’s pity we haven’t been able to share the mother of all Panoramas with the rest of the world as it should be. We have students and other players from the US and as far away as Japan and China participating in our Panorama yet the Ministry of Tourism has not seen it fit to use it as a form of cultural tourism to help boost the Carnival economy. Why can’t they do a professional video highlighting the Japanese and Chinese participants and advertise Panorama in those markets with a view to getting more tourists to TT for Panorama? They can also highlight the history of Chinese immigration to Trinidad as part of the enticement. Of course, the hotels and Caribbean Airlines will have to get on board with travel and accommodation packages. And the State would have to ensure the tourists’ safety. What’s the cause of this shortsightedness? But to keep the tourists coming, we’ll have to ensure there’s a good product going forward and to me there’s a disturbing trend in Panorama which could water down the brandy and make it tasteless over time. I’m talking about the new fad (or is it laziness?) by our arrangers of using other people’s music to help them tell/convey their ideas in the arrangements. In this year’s Panorama, two bands used the melody for Here Comes the Bride, one at the beginning, the other at the end. Okay, so they wanted to import another melody but what does Here Comes the Bride have to do with the story behind Hookin Meh? Essentially, Farmer Nappy’s song is about a man begging his wife/partner not to “mash we ting.” He’s pleading to save the relationship, not making a marriage proposal? I could see the relevance of another song, Don’t Leave Me This Way. But even so, why can’t they use a motif from their selection and come up with ideas to create a part to convey those same ideas. Are they too lazy to do that? Clive Bradley did it in Sailing for Pandemonium when he used the sticks against the sides of the pans to simulate waves crashing against the boat, and the rubberless end of the pan sticks were used on the notes to give the sound of rain. He also did it in Rebecca by Desperadoes, using phrases to mimic the swinging/gyrating hips of the “high” woman as she descended into lewd Carnival behaviour. Smooth did it in Woman on the Bass for All Stars. Listen to how effectively he used the bass. Perhaps our arrangers need to broaden their horizons by listening to how the classical composers and even those who compose movie soundtracks use music to convey emotions and ideas in the plots. They can start on the internet with the music in the shower scene in Hitchcock’s Psycho and understand how the music helps to instill fright and fear among the viewers as the intruder stabs the woman in the shower. Or they can listen to Tchaikovsky’s Swan Lake with the slow, soothing music conjuring up images of swans moving gracefully on the gentle waters. For the 1986 Music Festival, Pat Bishop chose Polovtsian Dances which is based on an opera, and there’s a passage in which the composer used the bass and other instruments to make it sound like a horse galloping as Prince Igor made his escape on horseback. Although Duvone Stewart did some of it in Regenades’ interpretation of Hookin Meh, the call and answer element in music could have been used more effectively to give the impression of a quarrel, and the “No, baby, no” hook could have been used to sound as if he was pleading (the word used in the song) and begging, even crying. Our arrangers should spend more time interpreting the message and meaning behind the songs they chose and come up with more creative music to help put over their renditions. That could only help them grow into better musicians. Don’t cheapen your work with other people’s music. That said, let me congratulate Renegades on their victory. Maintaining the lead in any field, sports included, from start to finish is an admirable feat. I also congratulate my band, Desperadoes, for a stellar performance on final night. They lived up to the advice of the late, great Rudolph Charles who, before we went on stage on that crucial night, always told us: “You are the best players, you have the best instruments and the best music. All you have to do is execute.” And boy, did they execute. Desperadoes give a stellar performance on final night. Reply to "Panorama arrangers getting lazy?"